Candidates who wish to apply for DAAD In-Country/In-Region Scholarship Must first be admitted into University of Nigeria. Application procedure for admission for those wishing to apply for the DAAD Scholarship has been simplified as follows. Brief description of the intended Research (Research proposal – maximum two pages). * For those applying for M.Sc. programme, only the Bachelor’s degree Certificate and Transcripts are required. However, for those applying for Ph.D. Programme BOTH Bachelor’s and Masters Degree certificates and Transcripts are required. 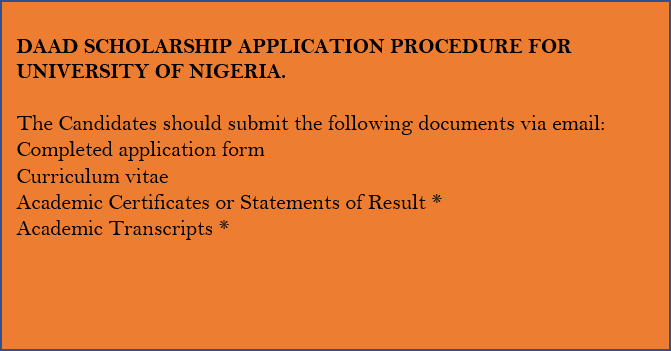 Application fee is twenty-six thousand Naira only but this can be paid at the point of registration. 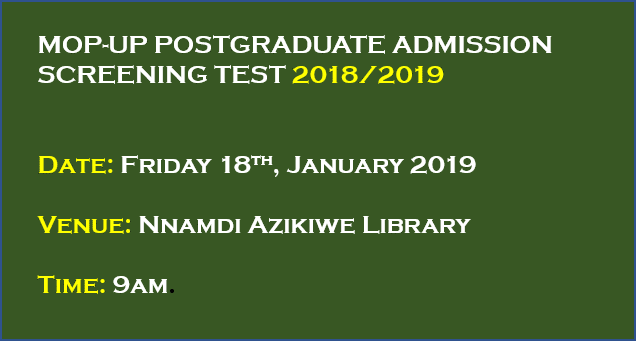 This is to inform you that Computer Based Screening Test for candidates that applied for the second semester 2018/2019 Ph.D admissions is scheduled to take place on Friday 15th March, 2019 from 9.00am. 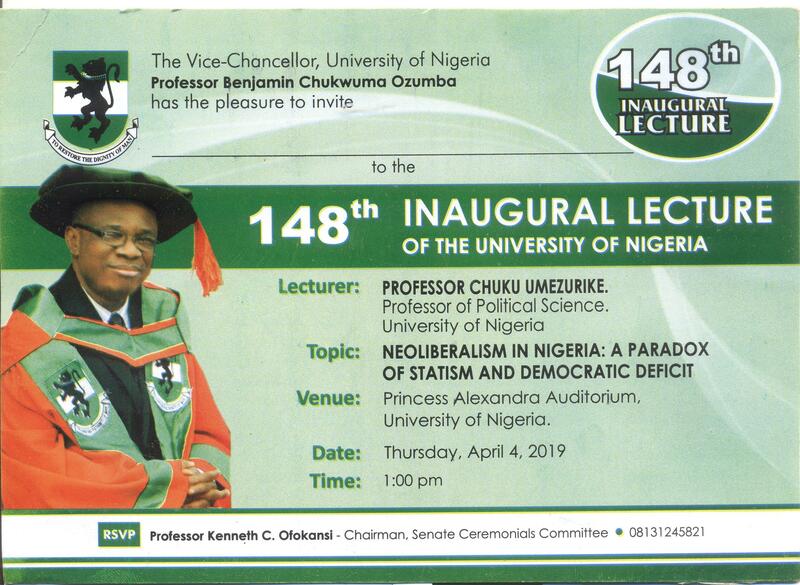 Venue is at the Nnamdi Azikiwe Library, University of Nigeria. 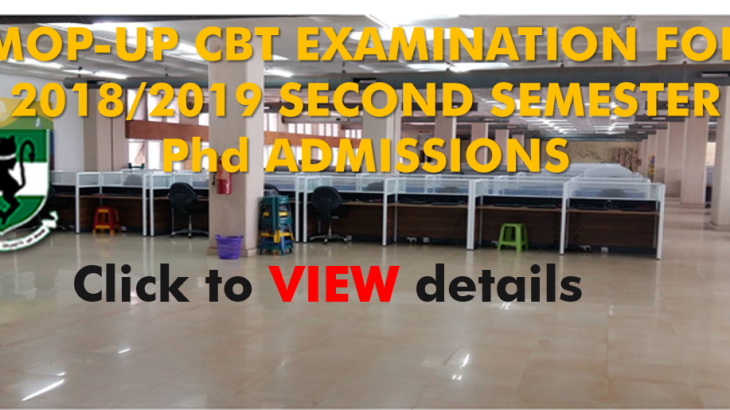 Candidate that missed the 2018/2019 CBT Postgraduate admission screening earlier conducted by the School of Postgraduate Studies should join the second semester Ph.D admission candidates to take the Computer Based Postgraduate admission screening test. This is the last chance for such candidate and anyone of them that misses this chance has to purchase new application for the 2019/2020 Postgraduate admissions which is presently on sale. African Literature in French; Caribbean Literature in French; Translation (FEENG – FRE). African Music Industry; Ensemble/Theatre Directing and Management; Music Education; Research; Composition and Musical Instrument Technology. Ensemble/Theatre Directing and Management; Music Education; Research; Composition and Musical Instrument Technology. African Music; Music Education; Composition; Musicology; Music Performance and Musical Instrument Technology; Ensemble/Theatre Directing and Management; Research and Musical Instrument Technology. Acting and Directing; Dramatic Theory and Criticism; Applied Theatre; Playwriting; African and Caribbean Drama and Theatre; Film and Media Arts Studies; Performance Studies; Scenography; Theatre and Cultural Administration. 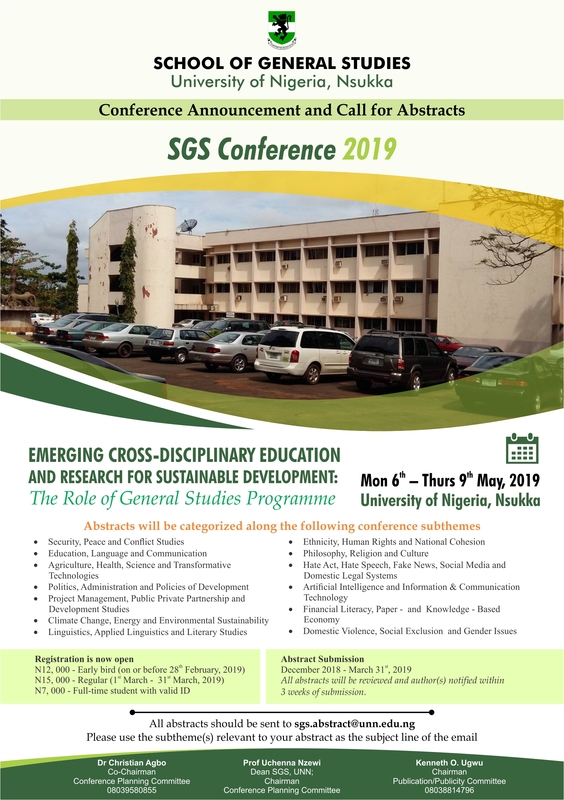 Animal and Environme; Parasitology and Public Health; Entomology and Forensic Sciences; Fishery Science and Aquaculture; Hydrobiology/Aquatic Sciences; Ecology and Environmental Biology; Animal Genetics, Molecular Biology and Biotechnology. MD degree in Cardiology; Nephrology; Neurology; Endocrinology; Gastroenterology; Respiratory Medicine (Pulmonology); Rheumatology; Infectious Diseases; Clinical Pharmacology/Therapeutics and Dermatology. M.Sc. degree in Cardiology; Nephrology; Neurology; Endocrinology; Gastroenterology; Respiratory Medicine (Pulmonology); Rheumatology; Infectious Diseases; Clinical Pharmacology/Therapeutics and Dermatology. Environmental Management, Geomorphology, Hydrology and Water Resources, Industrial Geography, Political Geography, Population Geography, Remote Sensing, Rural Geography, Transportation Geography and Urban Geography. Preventive Medicine: Epidemiology; Disease Surveillance; Emergency Prearedness and Information Management; Veterinary Quarantine Services; Livestock Production Economics and Entrepreneurship. Offers postgraduate programmes as follows: M.Sc. and PGD in Maritime Business and International Logistics; M.Sc. and PGD in Maritime Law and Policy; M.Sc. in Maritime Telecommunication; PGD in Radio Maritime Telecommunication; and M.Sc in Maritime Management. Citizenship Education: A minimum of Bachelors degree or HND passed at distinction or upper credit in Education, Social Sciences or related fields like Arts (Communication, Fine Arts, Drama and Languages). Gender Education: A candidate is qualified to apply with Bachelor’s degree or HND in any area of Education and Social Sciences, Arts and Sciences, passed at distinction or credit level. Office Administration and Technology Education: The entry requirement is Bachelor’s Degree or HND in any area of Education, Social Sciences, ICT or other professionals whose detailed academic records are acceptable to senate of the University of Nigeria may be admitted. 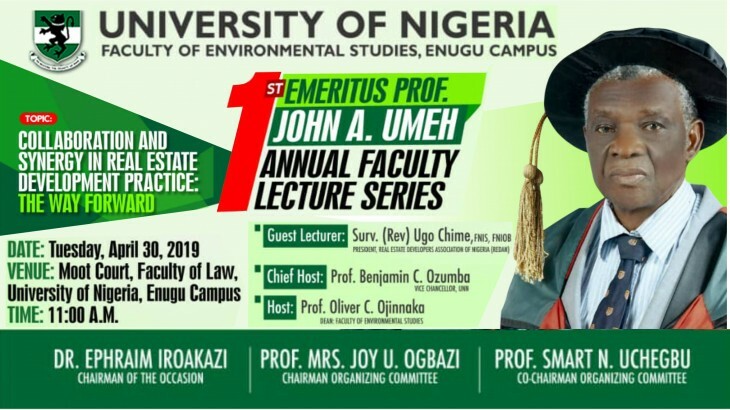 Women Education: The entry requirement is Bachelor’s Degree or HND in any area of Education, Social Sciences, ICT or other professionals whose detailed academic records are acceptable to senate of the University of Nigeria may be admitted. 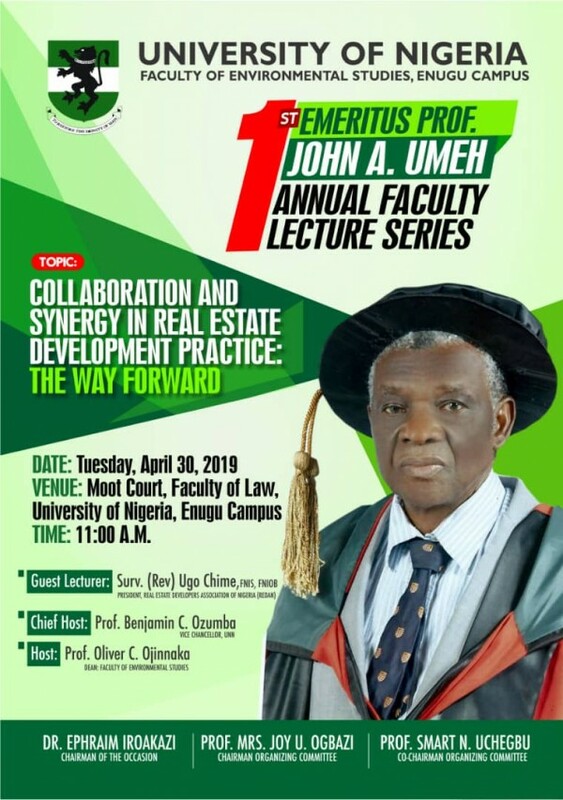 Graduates of the University of Nigeria or other recognized universities who have obtained a degree of bachelor with at least a third class honours. For Postgraduate Diploma in Public Administration, candidates with at least third class honours degree in Arts, the Social Sciences, Law, Business Administration or Education. Candidates from disciplines not mentioned above should in addition, possess a minimum of three years cognate post-qualification experience in administrative/managerial positions. For PGD in Business Administration, the 3rd Class Honours must be from Business Administration. (ii) Holders of Higher National Diploma (HND) with a 3.50 Grade Point Average on a five-point scale or its equivalent may be admitted. For Postgraduate Diploma in Business Administration, candidates who hold other professional qualifications such as Associate Institute of Bankers, Associate Certified Chartered Accountants, Associate Cost and Management Accountants, Institute of Chartered Accountants of Nigeria, Chartered Professional Accountants, Associate Chartered Institute of Accountants, Association of National Accountants of Nigeria etc. have added advantage for admission. Candidates with professional qualifications, including HND, should have obtained pre-professional qualifications, including 5 credits in WASC or GCE O/L or NECO to satisfy the basic University entry requirement, for admission for degree courses into respective departments. (iii) In addition to (i) or (ii) above, in special cases, candidates may be admitted after passing such tests as may be prescribed by the Department/Faculty. (iv) Candidates who hold other qualifications considered equivalent to the above and acceptable to the Board of Postgraduate Studies and Senate of the University may be admitted. HND in Nutrition and Dietetics with a minimum of Upper Credit or Third Class Bachelor’s Degree in Nutrition and Dietetics with at least 2.0 GPA on 5-point scale. HND (Upper Credit) in Nutrition and/or Dietetics with PGD (Credit level and above) in Human Nutrition and/or Dietetics. Bachelor’s degree with at least 2nd Class Honours (Lower Division) in Nutrition and Dietetics. Bachelor’s degree in related disciplines with a minimum of Second Class Honours (Lower Division) and PGD in Nutrition and Dietetics at credit level and above in addition to satisfying the University matriculation requirements. Master’s degree in Human Nutrition and Dietetics with at least GPA of 3.5 on a 5-point scale. HND in Home Science/Economics or relevant fields with a minimum of Upper Credit, or Third class Bachelor’s degree in Home Science/Economics with at least 2.0 GPA on 5-point scale. Bachelor’s degree in Home Science or related discipline with 3rd class honours degree plus PGD passed at Upper Credit level and above. HND Upper Credit plus PGD at Credit level in addition to satisfying University matriculation requirements. Ph.D or M.Sc/Ph.D: Candidates seeking admission into Ph.D or M.Sc/Ph.D programme in Home Science must have Master’s Degree in Home Science/Home Economics or related discipline from recognized Institution. 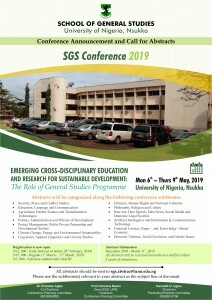 A minimum GPA of 4.0 on a 5-point scale is required for admission into Ph.D programmes in the following Departments/Faculties: Music, Economics, Public Administration and Local Government, Psychology and Faculties of Education, Medical Sciences, Health Sciences and Technology and Business Administration. A candidate with Master’s degree from a recognized University with at least a GPA of 3.50 on 5-point scale or 3.00 on 4-point scale who wishes to do Ph.D degree in a related area/ department shall qualify for the Master’s/Ph.D. Any candidate who is not qualified for Ph.D admission on account of low GPA is still not qualified for admission into Master’s/Ph.D. programme. For Faculties and Departments where the possession of Master’s degree with 4.00 points GPA and above is the condition for Ph.D admission, applicants with Master’s degree GPA of 3.50 and above, but not up to 4.00 may apply for Master’s/Ph.D admission. On completion of Master’s degree coursework specified by the Department, the candidate shall be qualified for a firm Ph.D registration if he or she attains the GPA of 4.00 in the Master’s courses. 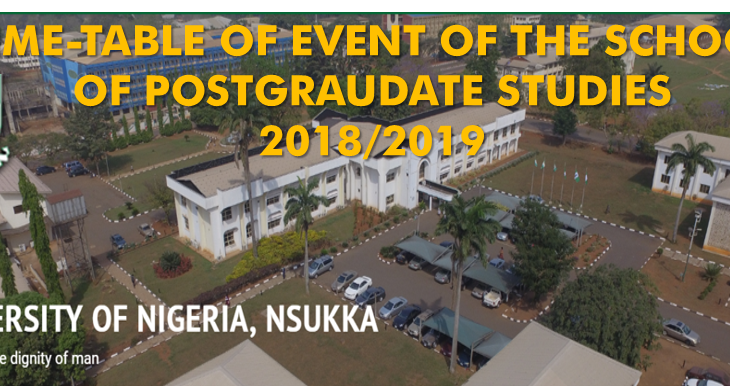 Note: Candidates are advised to read through the current Postgraduate Regulation of the University of Nigeria for proper guidance on the Entry Requirements and other conditions for Postgraduate admissions in the University. MLS degree programme is available in the Department of Library & Information Science. Sandwich Postgraduate Diploma are run in the Institute of Education (PGDE), Vocational Teacher Education (PGDTE) and Library & Information Science (PGDL). 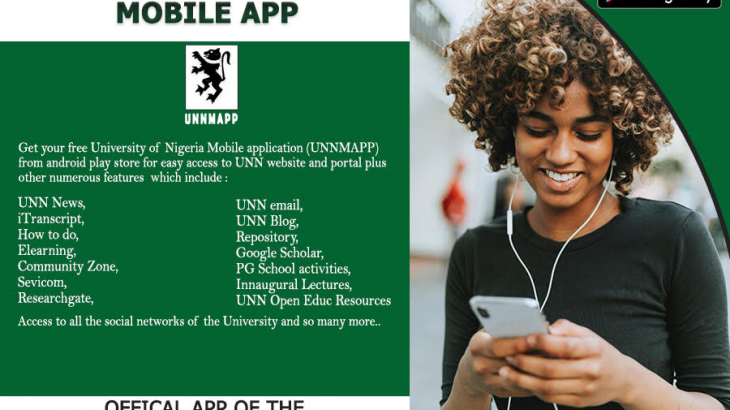 Application Forms can be obtained ONLINE on payment of a non-refundable fee ofN25,000.00 (Twenty five thousand naira only) made payable to “The University of Nigeria Postgraduate Application Fees Account, at any bank within the country using the Remita platform. When completing the application form, the candidates shall supply the email addresses of their referees through which a link will be sent to the Referees with request to complete the Report Form in respect of the candidate and submit online. The candidate shall download the three (3) completed Referee Report Forms and enclose them in an envelop for submission to the Secretary, School of Postgraduate Studies along with their online application forms. Please note that applications would not be processed unless the referee reports are available. Candidate should download transcript request forms (D2) also provided online, and submit to their former Universities/Institutions to forward their academic transcript(s) to “The Secretary, School of Postgraduate Studies, University of Nigeria, Nsukka” to reach him/her not later than 30thJune, 2019. Candidates whose transcripts are not received on or before the deadline by the School shall not have their application forms processed. 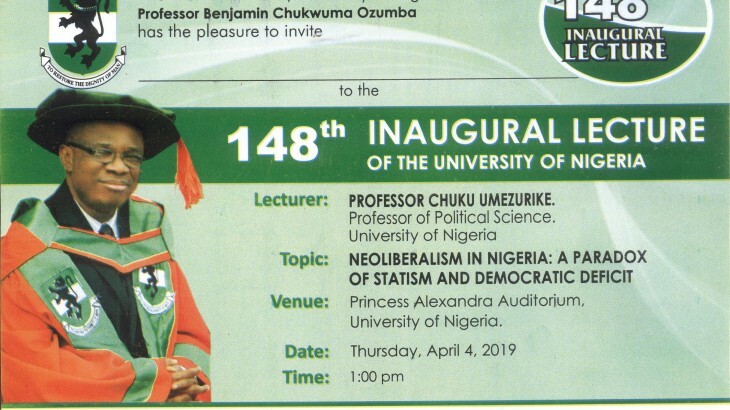 All documents must fit into the 10” X 15” envelope and delivered or addressed and sent by courier to “The Secretary, School of Postgraduate Studies, University of Nigeria,Nsukka” and to the Deputy Registrar, School of Postgraduate Studies Unit, Enugu Campus for Enugu Campus-based academic units. Application starts from 1st March, 2019 and closes on 31st March, 2019. Date for the Screening Test: 19th July, 2019. 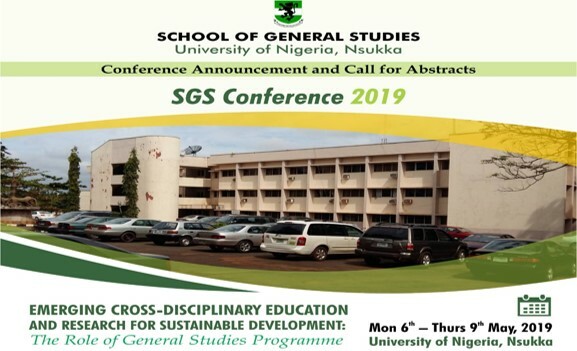 NOTE: For Ph.D degree programme, a candidate must have published at least an article from his/her Ph.D Thesis or obtained an acceptance letter from a journal certified by the University of Nigeria, Nsukka as a condition for graduation. This application is of immense benefits to students and staff of the university as well as to the university herself.